2: Call office 01480 354615 and leave your details, Our prices range from the space taken, the area, the amount you wish to advertise with us, we work soley on a first come first served basis, once an advert has been placed you cannot book that space till contract ends. 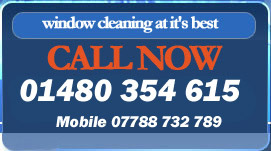 We do not allow adverts of a sexual nature, and all adverts are vetted before being placed within the window washers website. Our website is live as you read it,. If you need anymore information please email us your questions and we will reply in a timely matten.